Big Island County Council members are seeking details about how administrators plan to spend millions in disaster funds resulting from the volcanic eruption last year. The council on Wednesday asked county administrators for details of a possible $60 million payout for disaster response and recovery, the Tribune-Herald reported yesterday. 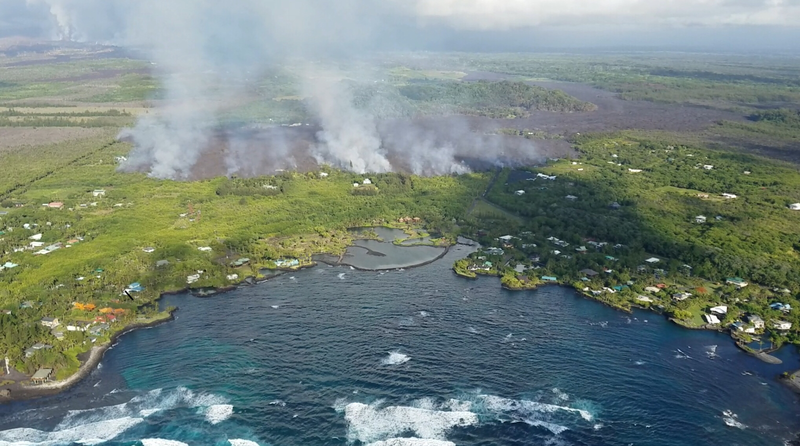 The federal funds were appropriated after the 2018 eruption of the Kilauea volcano on the Big Island resulted in lava flows from May to August. State lawmakers are considering distributing most of those funds as no-interest loans, which requires the county administration to report each month on its expenditures. Council members are also seeking details about how county officials will distribute $22 million granted by Gov. David Ige, a Democrat, including $10 million for disaster response and $12 million for disaster recovery. The county finance director says $7.4 million has already been spent. County administrators have said they do not have all the details because much of the planning is ongoing. Diane Ley, the county research and development director, said some of the funds will be used to hire temporary staff and consultants to help with planning efforts. She said a framework will soon be presented to Hawaiʻi County Mayor Harry Kim for his approval. "As soon as we have that done, we will come back and share that with the council as well as the county," Ley said.